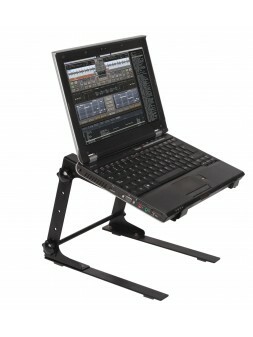 JV CASE Laptop stand, perfect for the “digital" DJ! Universal laptop stand, perfect for the “ digital” DJ! Durable and stable metal design in black finish. All accessories (knobs, table/case clamps, extension adapter) included.